Beverages, THE COCA-COLA COMPANY, NOS energy drink, Original, grape, loaded cherry, charged citrus, fortified with vitamins B6 and B12. 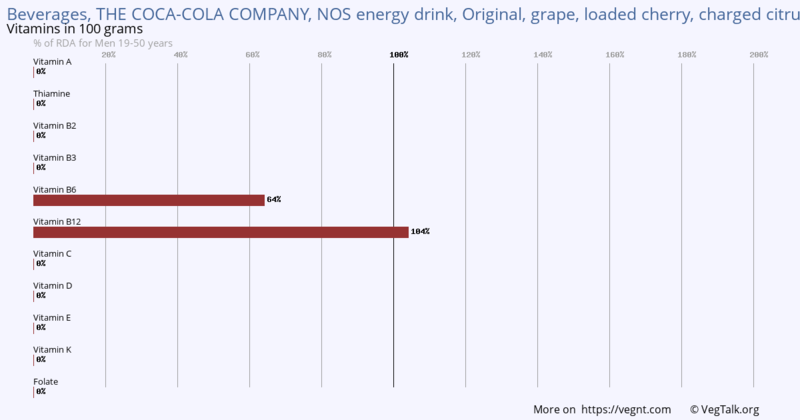 100 grams of Beverages, THE COCA-COLA COMPANY, NOS energy drink, Original, grape, loaded cherry, charged citrus, fortified with vitamins B6 and B12 has outstanding amounts of Vitamin B12. 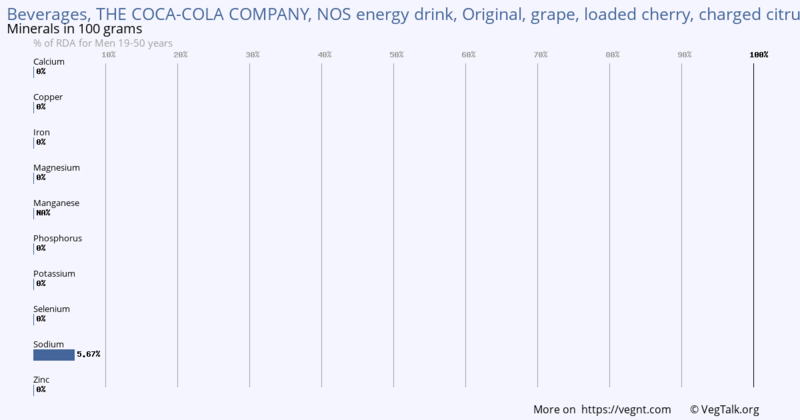 100 grams of Beverages, THE COCA-COLA COMPANY, NOS energy drink, Original, grape, loaded cherry, charged citrus, fortified with vitamins B6 and B12 has some Sodium. It has no Calcium, Copper, Iron, Magnesium, Phosphorus, Potassium, Selenium and Zinc. 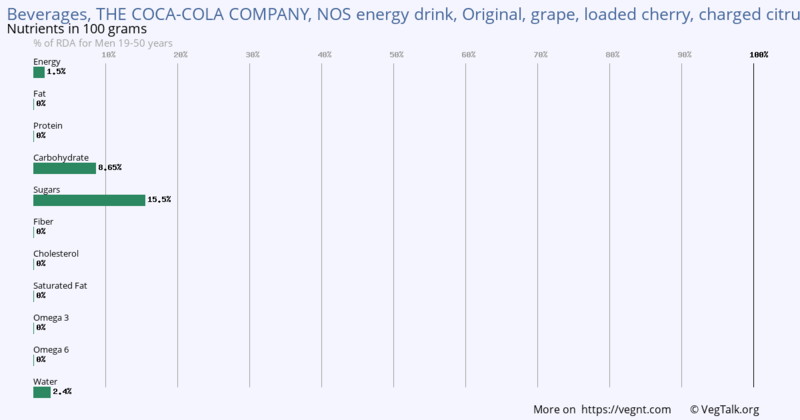 100 grams of Beverages, THE COCA-COLA COMPANY, NOS energy drink, Original, grape, loaded cherry, charged citrus, fortified with vitamins B6 and B12 has a good amount of Carbohydrate and Sugars. It has no Fat, Protein, Fiber, Saturated Fat, Omega 3 and Omega 6.